Passive investing is a go-to strategy for long-term investors, because it capitalizes on the typical upward trend of the overall market over many years. Of course, there are many ways to do well in investing, and financial advisors employ numerous strategies to generate robust returns. But if you’re looking to grow your money over the long haul, take a look below to learn more about passive investing. Passive investing, or passive management as it’s also known, is best categorized as a “buy and hold” philosophy. At its core, it’s a straightforward investment tactic that looks to avoid extensive buying and selling while investing in long-term focused securities. Consequently, passive investors are betting on steady market increases rather than trying to beat the market. This is in direct opposition to something like active management, which call for frequent transactions in an effort to achieve above-average returns. Mutual funds: When you buy into one of these funds, you’re investing in a company that will buy and sell stocks, bonds and more in your name. In other words, mutual funds combine professional management and diversification at their purest levels. Exchange-traded funds: You can purchase ETFs just as easily as any security, and they follow a collection of stocks or an index. Some well-known indexes ETFs use are the S&P 500, the MSCI Indexes and the Dow Jones Industrial Average. Because of this, ETFs have a superior ability to track the performance of a market. Index funds: ETFs and index funds are extremely similar, but the cost to invest in an ETF can be pricier. This has led many individual investors to consider adding index funds to their portfolio over ETFs. 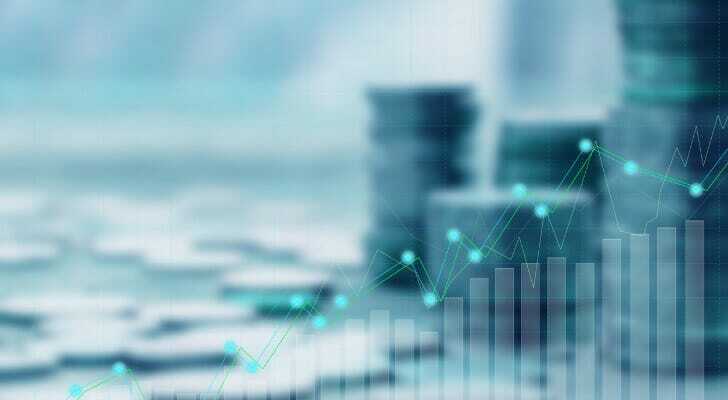 Fidelity and Vanguard claim some of the more popular index funds, such as the Vanguard Growth Index (VIGRX) and the Fidelity 500 Index (FXAIX). Every investment strategy has its strengths and weaknesses, and passive investing is no different. For those who have no reason to hop into anything risky, passive management provides about as much security as can be expected. Because passive investments tend to follow the market, which tends to experience steady growth over time, the chance you’ll lose your invested assets is low in the long run. One of the main tenets of passive investing is the maintenance of long-term holdings. Because there’s very infrequent buying and selling, fees are low. In short, this means you’ll lose less of your returns to management. ETFs, mutual funds and index funds are staples of passive investing portfolios. They all also have a couple characteristics in common: professional management and inherent diversification. When you invest in stocks, bonds or any other security on a singular basis, it’s up to you to choose which ones you want and when to buy and sell them. 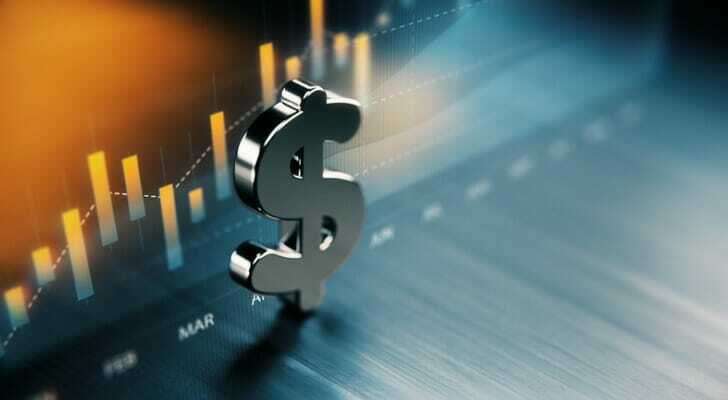 But because investment professionals manage the aforementioned trio of funds, you’ll reap the rewards of strong diversification and asset allocations without getting your hands dirty. For investors who want complete discretion over their portfolio, passive investment may not be the best option. Passive portfolios usually contain a majority of funds that are under the jurisdiction of fund managers. So while the overall performance of these funds dictates your eventual returns, the investment decisions are not under your control. Thus, this lack of customization and flexibility could leave passive investors feeling like they’re not involved enough in the overall management of their money. Of course, unless you know what you’re doing, managing your own investments can be tricky. As a matter of fact, even the most “intelligent” investors will endure significant struggles. However risky as it may be, passive investing technically has less return upside than strategies that look to beat the market through stock-picking and recurring trades. In return for this trade-off, though, passive investors regularly see slow and sustained growth. 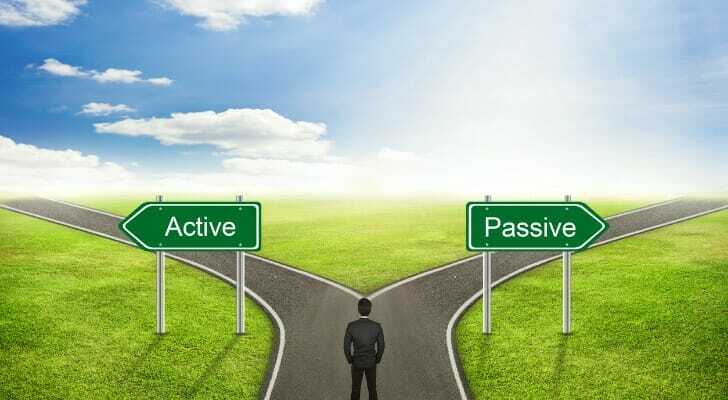 There’s no simpler way to put it: passive investing and active management are polar opposites. Active investors prefer consistent trading in line with market trends. By contrast, passive investors ride the market for years at a time. It’s important to note that if you’re involved in this debate, there’s really no perfect answer as to whether either of these strategies is intrinsically better. Instead, each investor’s individual circumstances will shed light on which is the more beneficial choice for them. What this decision ultimately comes down to is your risk tolerance, which is your ability to stomach volatility in the hopes of higher returns. Passive investing is a perfect match for risk-averse individuals due to the safe nature of ETFs, index funds and mutual funds. On the other hand, if risky investing is within your means, an active portfolio could be more fitting. Your investment goals are another deciding factor for which style of management is preferable. For example, let’s say there’s a 25-year-old who wants to buy a home over the next few years and a 30-year-old who’s saving for retirement. The investments they should make are drastically different. Because the future homeowner is closing in on his or her goal, he or she might consider high-risk, high-reward investments. Retirement is far away for the 30-year-old, though, allowing this person to stick to passive investing if he or she so chooses. If you want an actively-managed portfolio, know that you will encounter more fees than a passive investor will. Because active management calls for consistent trades to beat the market, you’ll likely spend a significant amount in transactional fees. Passive investors prefer to buy and hold securities, lowering their extraneous costs in the process. Because passive investing is an innately long-term approach, it’s best for those with long-term financial objectives. For instance, passive investors might be saving up for retirement or for their child’s college education. Before investing any money in the market, you should take some time to learn about the strategies available to you. That includes passive investing. Similar to many other financial topics, education is invaluable. So although passive investing has many perks, that doesn’t mean it’s the right strategy for everyone. If you’re not a fan of DIY investing, you may want aid from someone more knowledgeable. In turn, many financial advisors utilize passive investing as their main investment strategy. The SmartAsset financial advisor matching tool can pair you with up to three advisors in your area that appeal to your needs. You’ll receive your matches after you spend a few moments answering our in-depth financial questionnaire. For those that have less money to invest, robo-advisors are a great alternative to more expensive financial advisors. In fact, many robos already incorporate plenty of index funds, ETFs and mutual funds in their portfolios. As a result, passive investing is a major centerpiece in the robo-advisor community. The post How a Passive Investing Strategy Works appeared first on SmartAsset Blog.